Sorry we’ve been a little quiet on the EU VAT Ravelry integration front of late! The team has been working frantically to get patterns imported from Ravelry into our system and available to EU customers as quickly as possible. We’re relieved to say that we’ve been able to make over 20,000 patterns available to EU customers on Ravelry so far. If you are a designer who imported your patterns or an EU knitter/ crocheter waiting to buy them – thank you for your patience! Now that most imported designs have been published, we thought it would be helpful to share an update with designers looking to boost their sales on LoveKnitting. If your patterns are marked ‘Published’ they’ll now not only be available to EU customers on Ravelry but to LoveKnitting customers all around the world. To support your sales to LoveKnitting customers, we’d encourage you to review your designs and check that you’re happy with the way they’re categorised (Difficulty, Who it is for, Type of pattern) and how your descriptions appear on site. We have a 1000 character limit and unfortunately some of the description formatting may have been lost during the import process. There was some information, including materials (yarn, needles and accessories) and sizing, that we weren’t able to match to Ravelry and couldn’t import. It would help pattern sales and our customers if you were able to include yarns, needles and sizing in your patterns. Before adding yarns, you will need to add sizing information. Where possible, we’d recommend including a yarn we stock. This will make your patterns more findable through the yarn weight categories and give them exposure on the recommended yarn page (eg. http://www.loveknitting.com/malabrigo-sock). 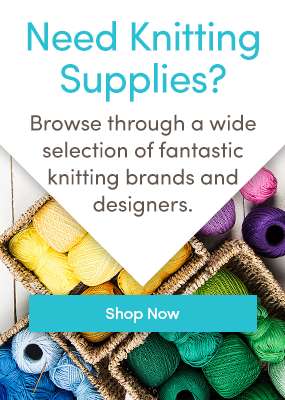 We are bringing new yarn brands and lines onto our site every month – so keep an eye on the yarn pages! Our customers also really appreciate the ability to buy their patterns and yarns together and regularly get in touch with our customer service team for suggested substitute yarns we sell. If you include a yarn we stock, customers will be able to buy it with the pattern at the click of a button, like in Carol Feller’s pattern below. We have more information on including yarns here and sizing here to help you in this process. To make updates to your patterns you can login to your account here. Apart from the price, the changes made in the LoveKnitting site won’t update the listing on Ravelry. We’re working on some other new features that we’ll be introducing to LoveKnitting Designers in the coming months. VAT-inclusive pricing, a sales reporting area of your account and adding yarn weight and gauge are all in the pipeline, along with a number of other updates. Watch this space! What if my pattern still says ‘Awaiting Approval’? If you imported your pattern from Ravelry over five days ago and it is still marked ‘Awaiting Approval’, it should now be available to your Ravelry EU customers. It’s in the queue to be reviewed by our team before it is published on the LoveKnitting website and made available to LoveKnitting customers. Once approved, you’ll get an email to say that the pattern has been published to our site. You can find more information on selling your patterns in our Help Centre. Lastly, if you or your customers encounter any issues with the patterns imported from Ravelry, do let us know at designers@loveknitting.com. Browse the Ravelry Patterns here. Last updated: July 2nd, 2015. Hi there. I’m so pleased you’ve made this service available and linked up with Ravelry – it has made dealing with EU Vat change so much easier. What are your plans for coupons? So glad we’ve been able to help out! Promotions/ coupons set by the designer aren’t possible at the moment though it is something we’re looking at .